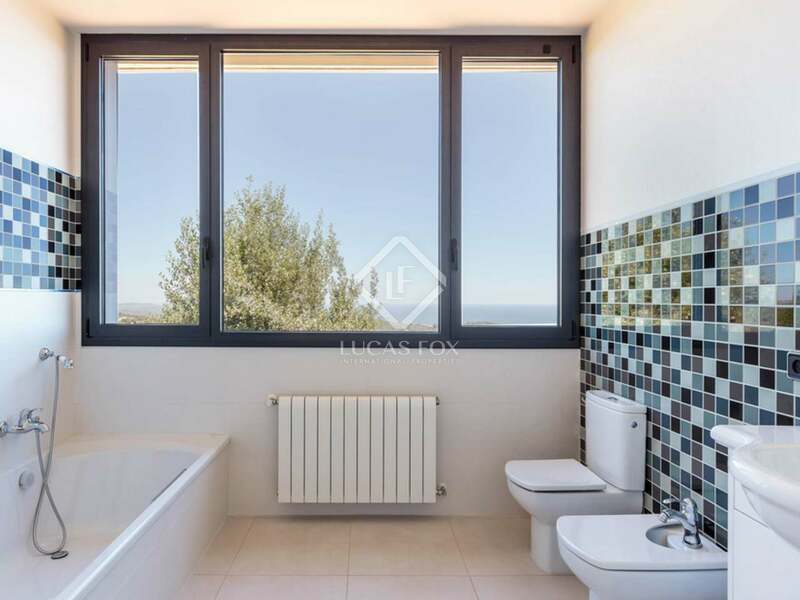 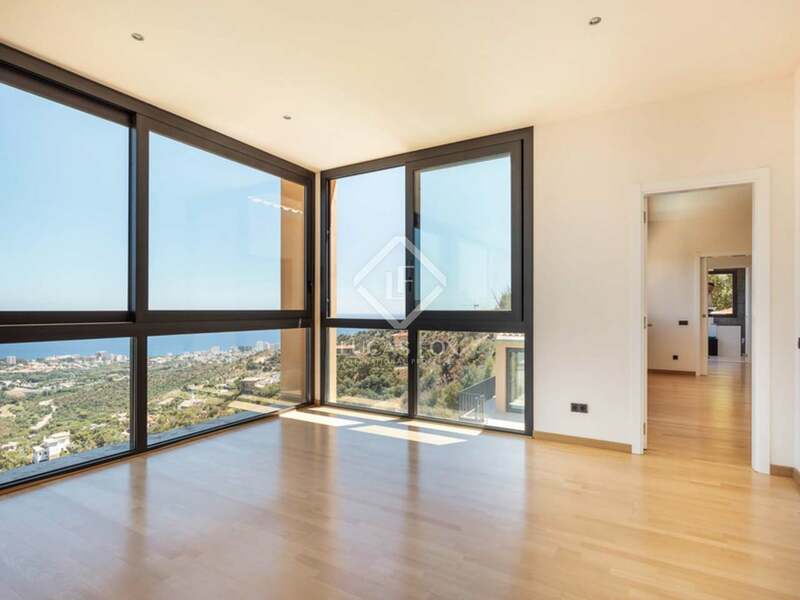 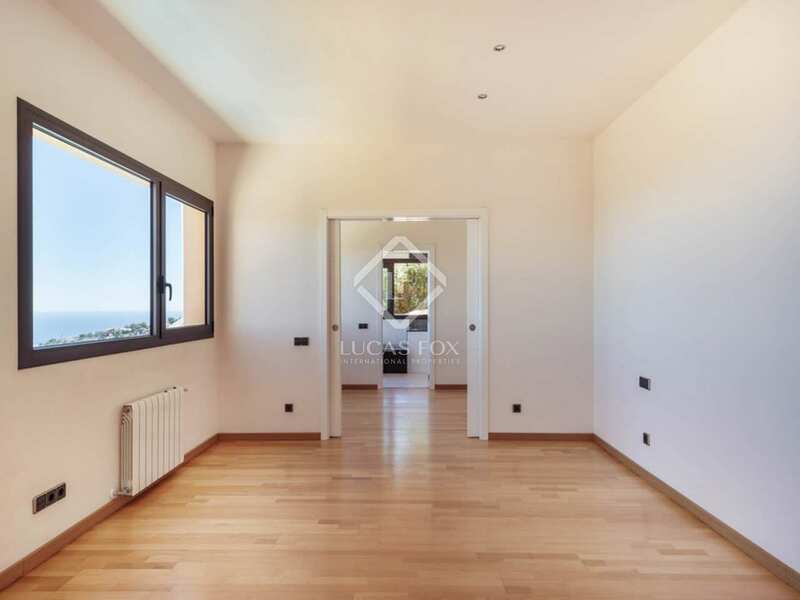 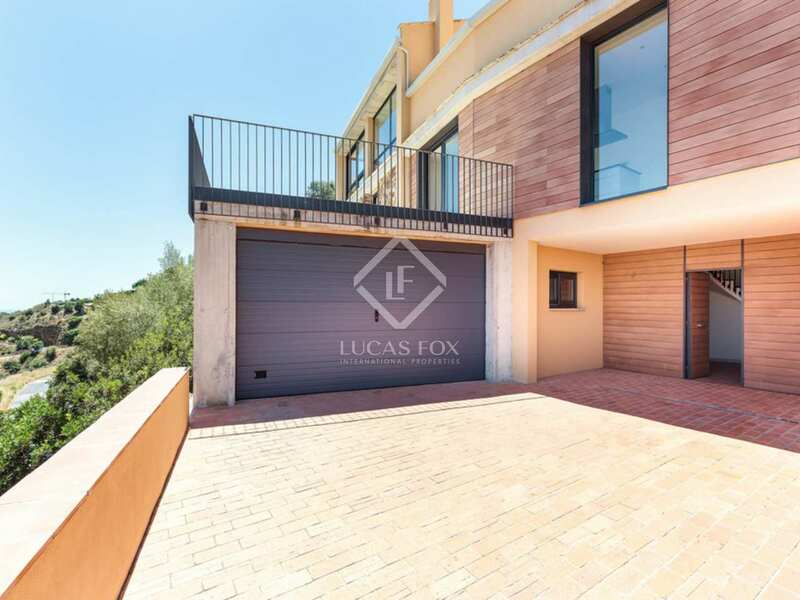 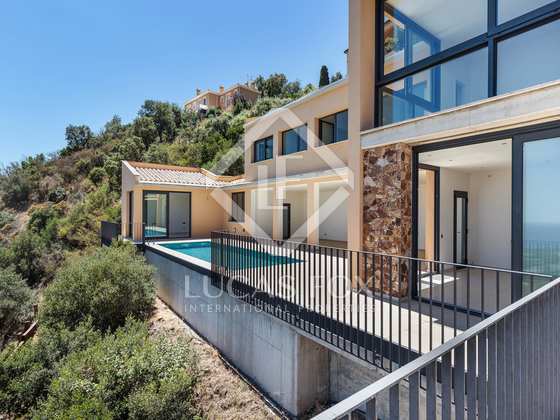 Modern 5-bedroom villa with fantastic, uninterrupted sea views, lots of natural light, double height living spaces, large windows and a landscaped plot in the Mas Nou residential area of Platja d'Aro. 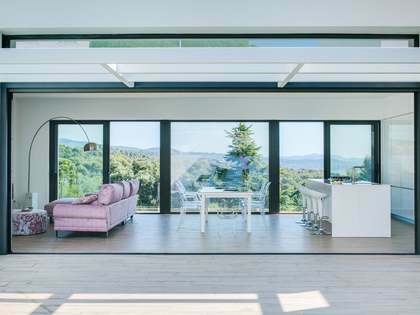 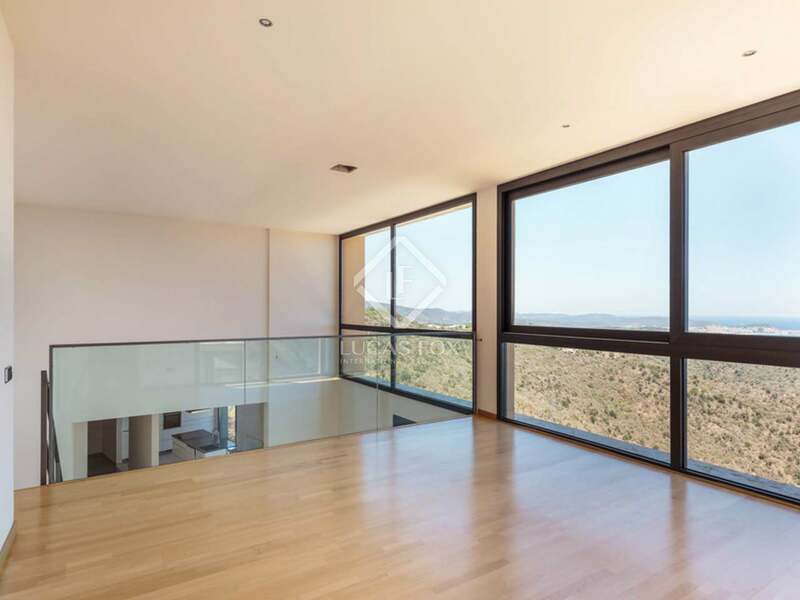 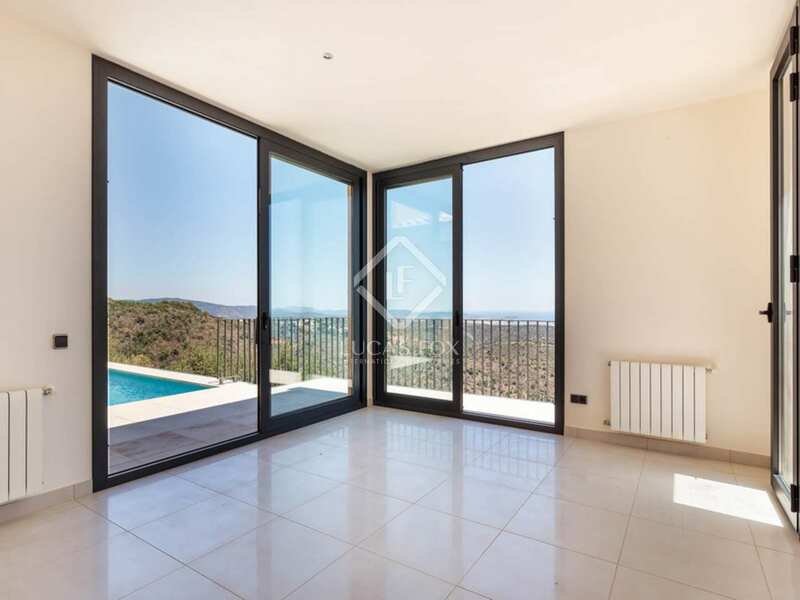 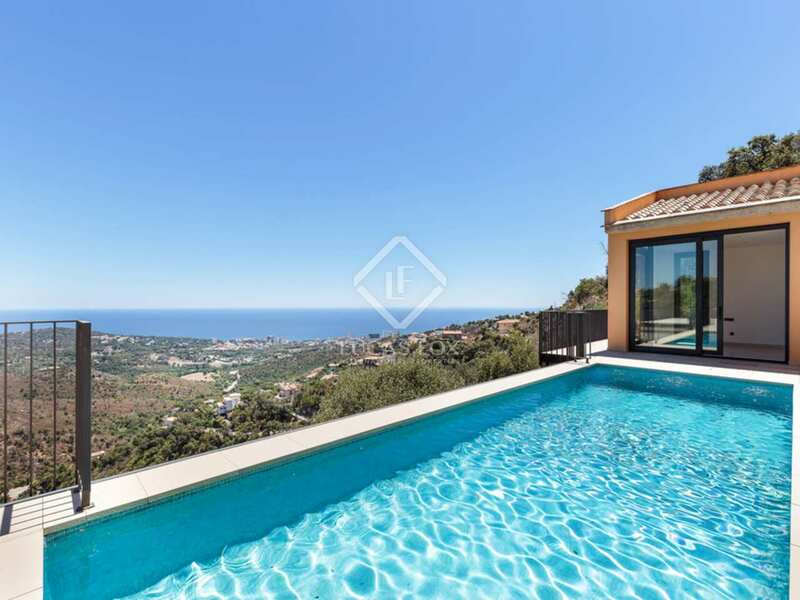 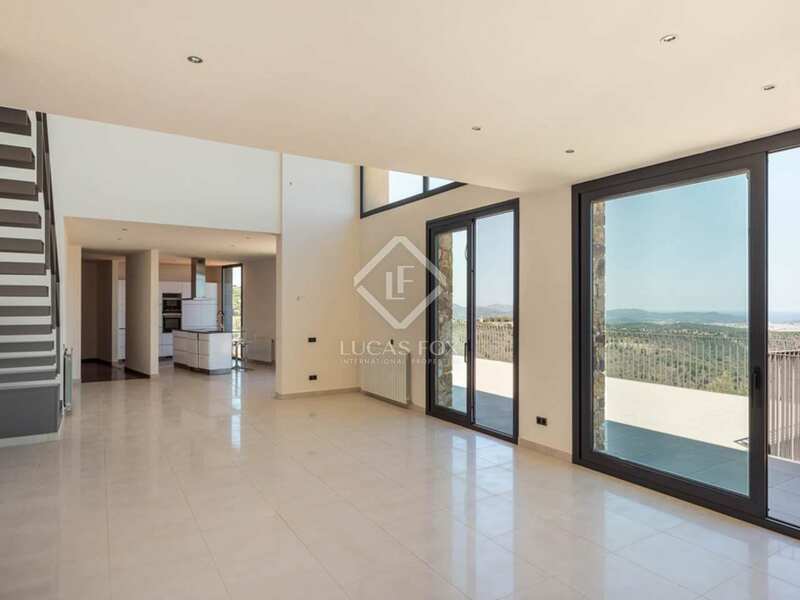 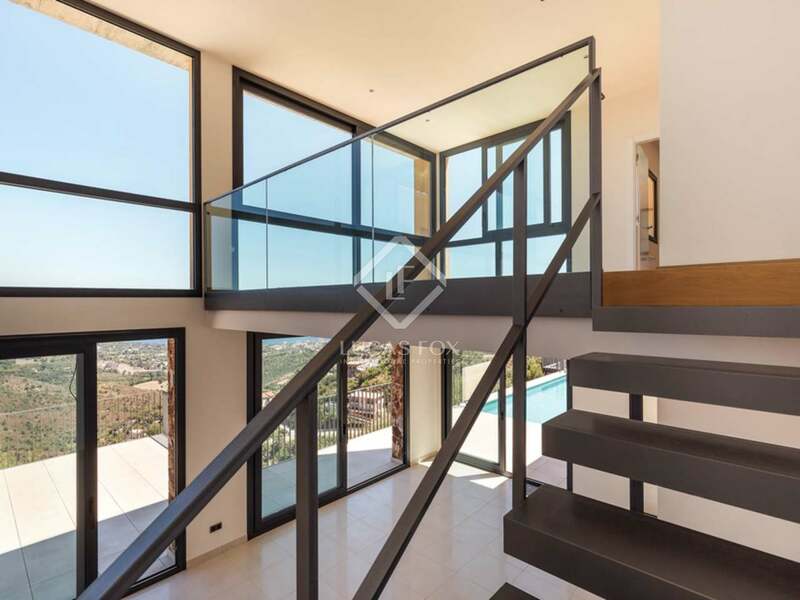 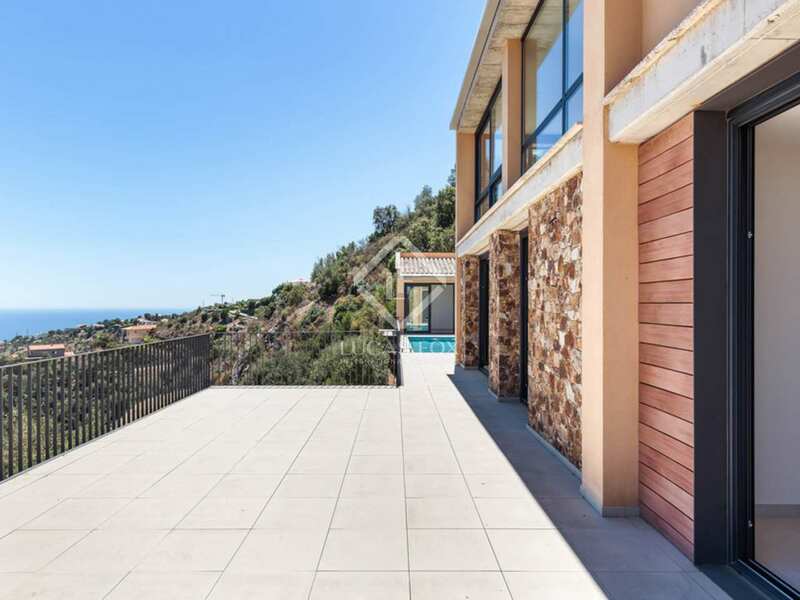 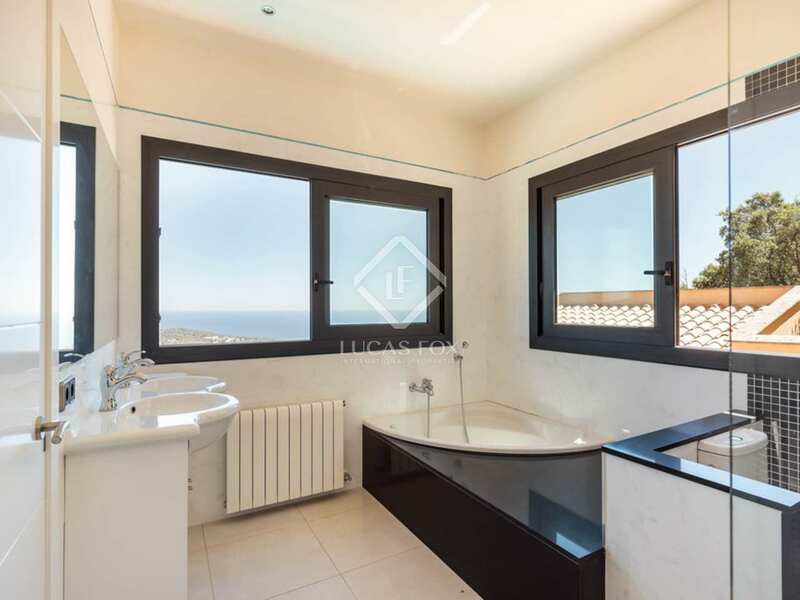 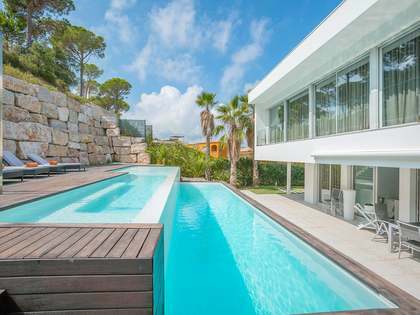 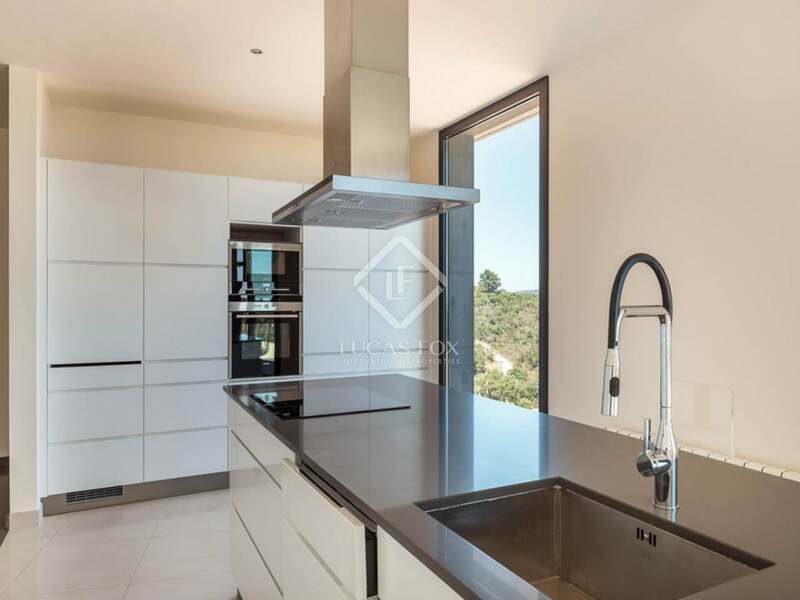 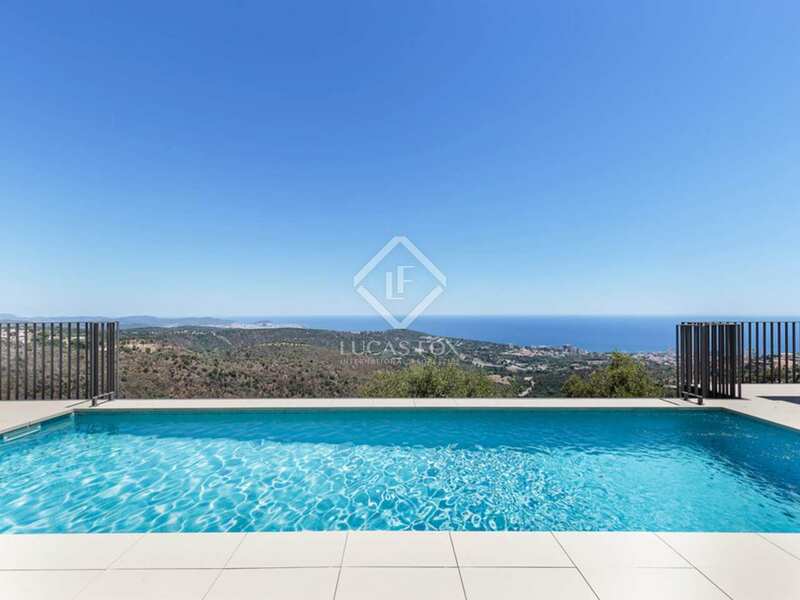 Stunning contemporary style villa of 512 m² on a 2,813 m² plot in the Mas Nou residential area of Platja d'Aro, on the Costa Brava, with spectacular 180-degree sea views. 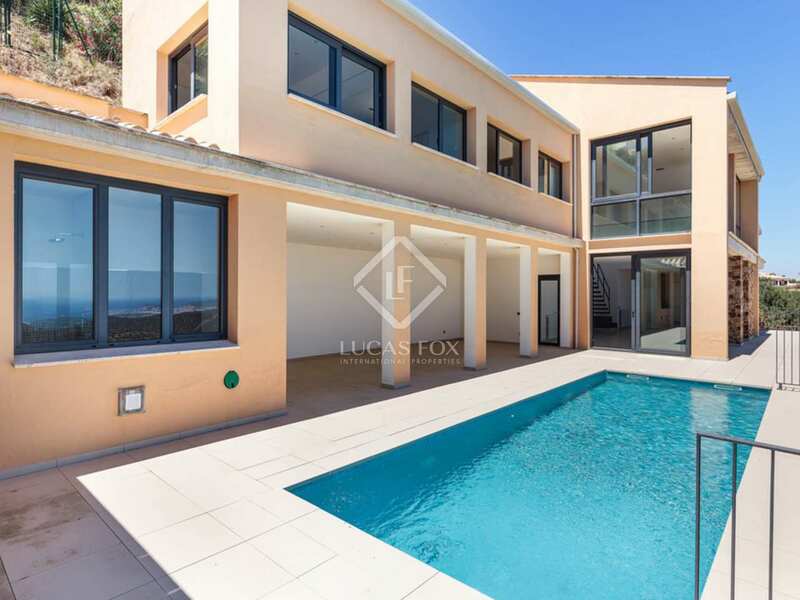 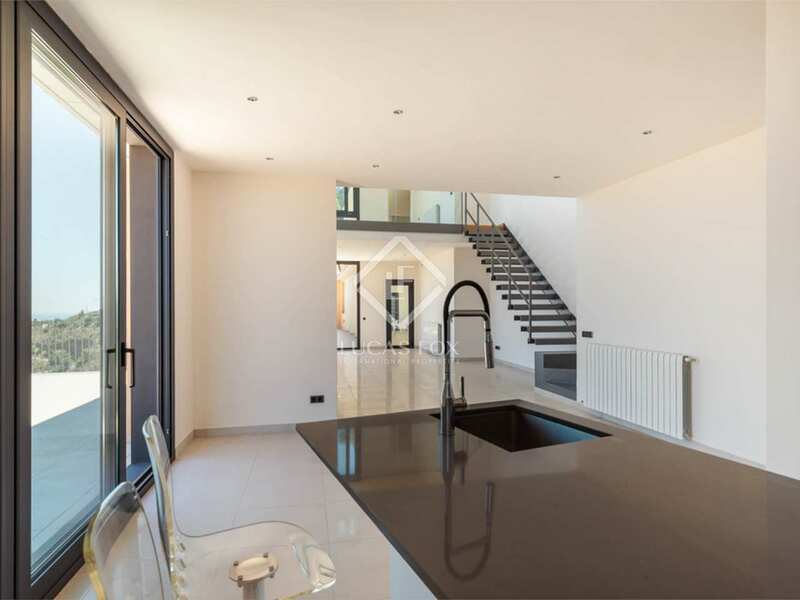 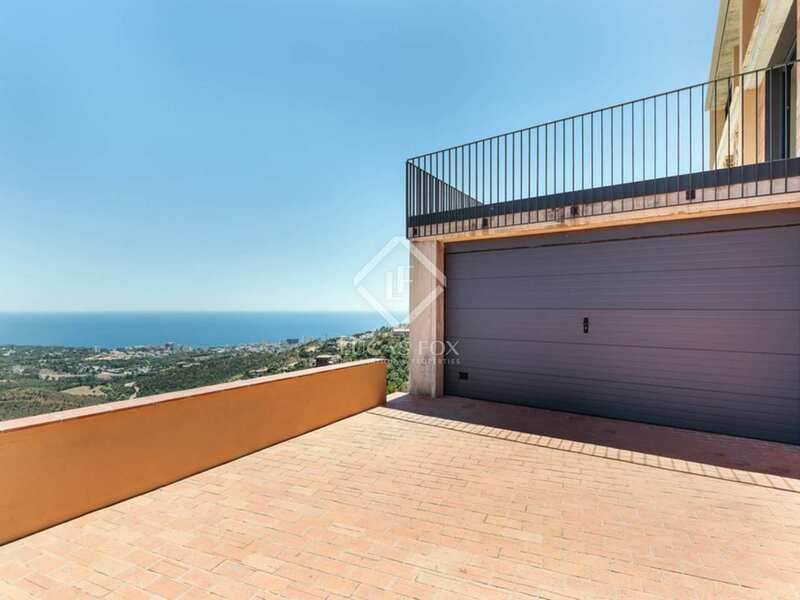 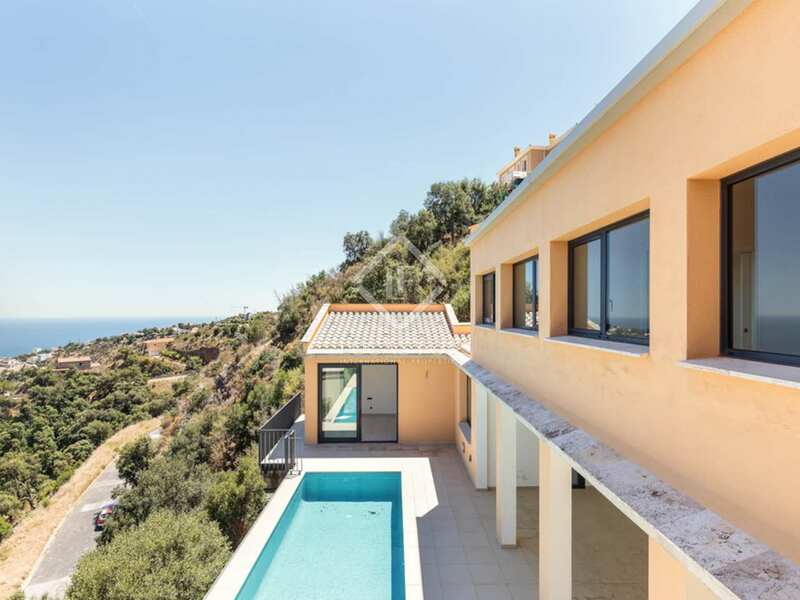 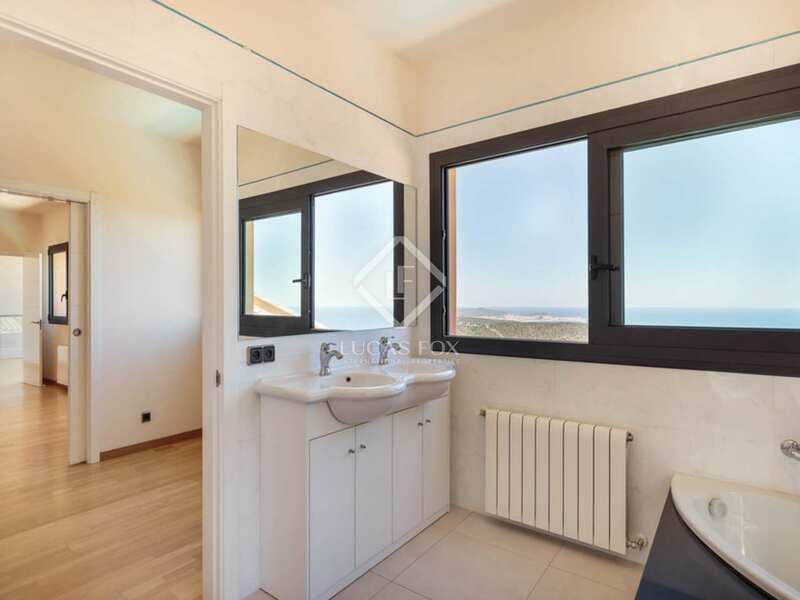 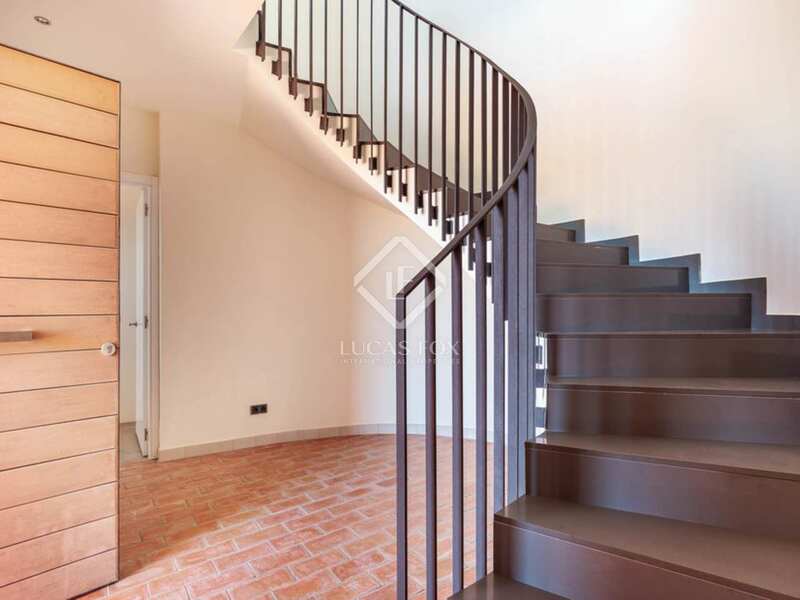 Built in 2012, this modern villa is presented in impeccable condition and boasts a charming landscaped terraced garden with a pool looking out over the sea. 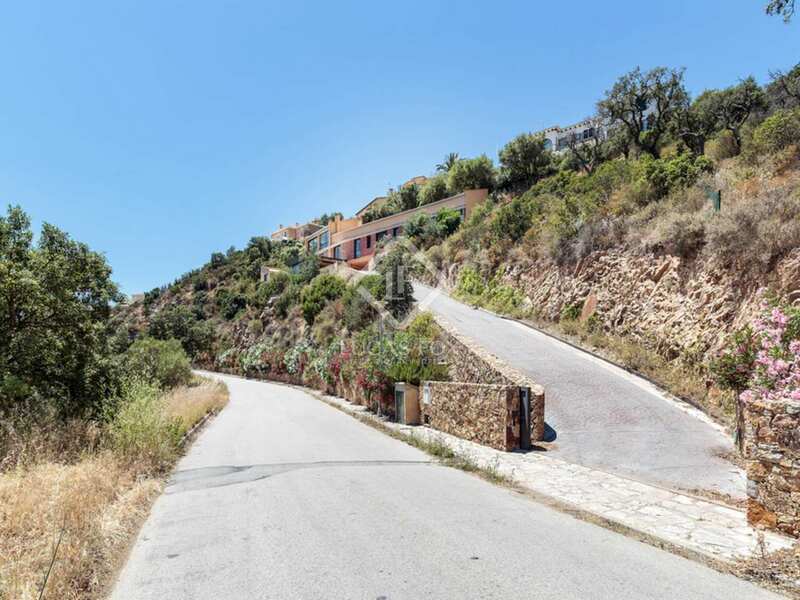 The plot is delimited by a stepped path and we approach the villa via a long driveway leading from the road to the 4-car garage and entrance hall on the ground floor. 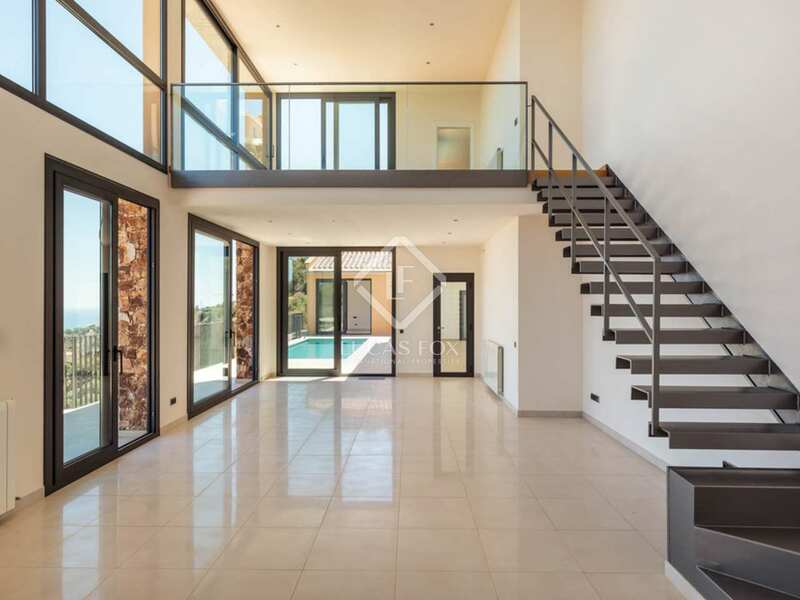 Spiral stairs lead to the first floor where we find a huge double-height living area with floor-to-ceiling windows overlooking the very large terrace that extends in front of the living room offering super sea views. 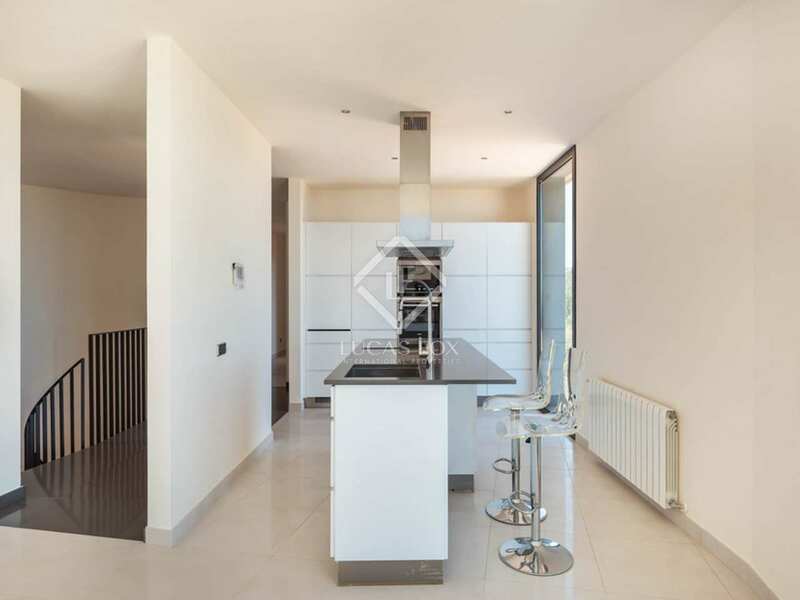 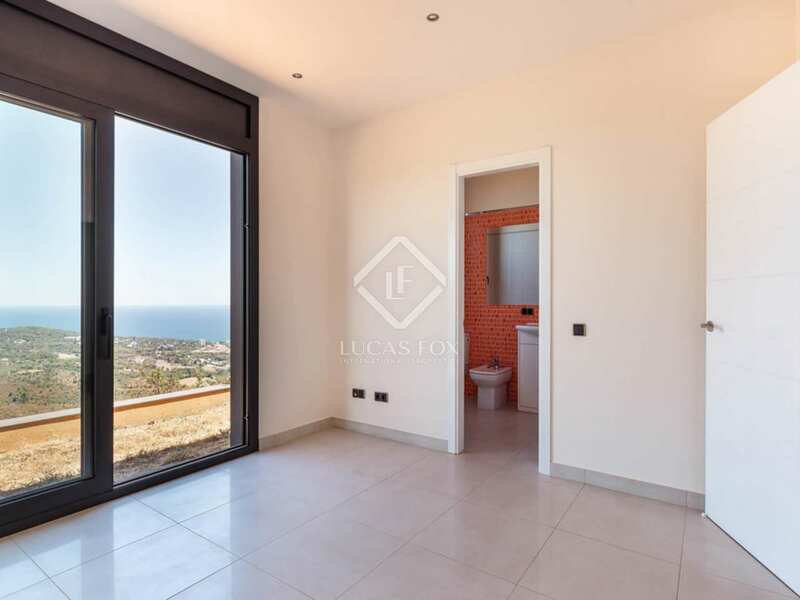 A modern open-plan kitchen leads off the living room and a corridor on one side leads to 2 suites, 1 double bedroom and a bathroom, all with fantastic sea views and opening out onto the garden. 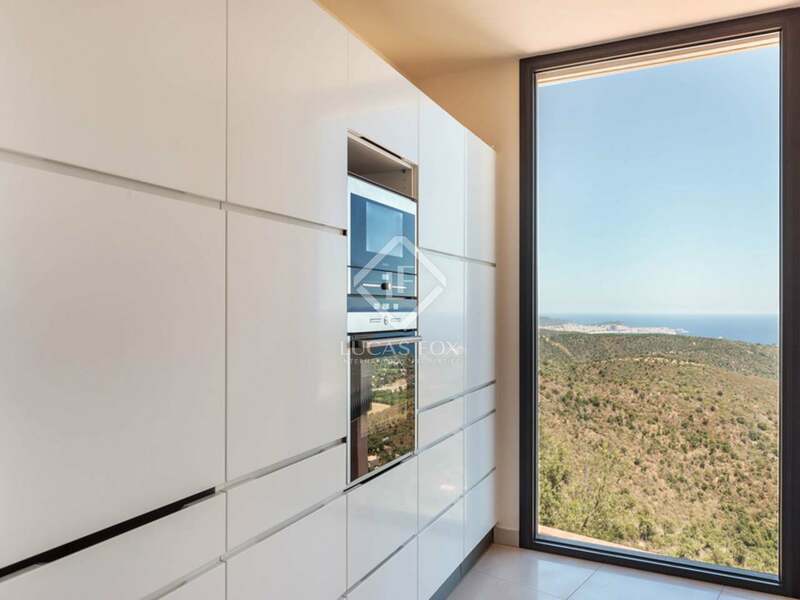 Above the living room is another living space which leads to the master bedroom, again with stunning sea views. 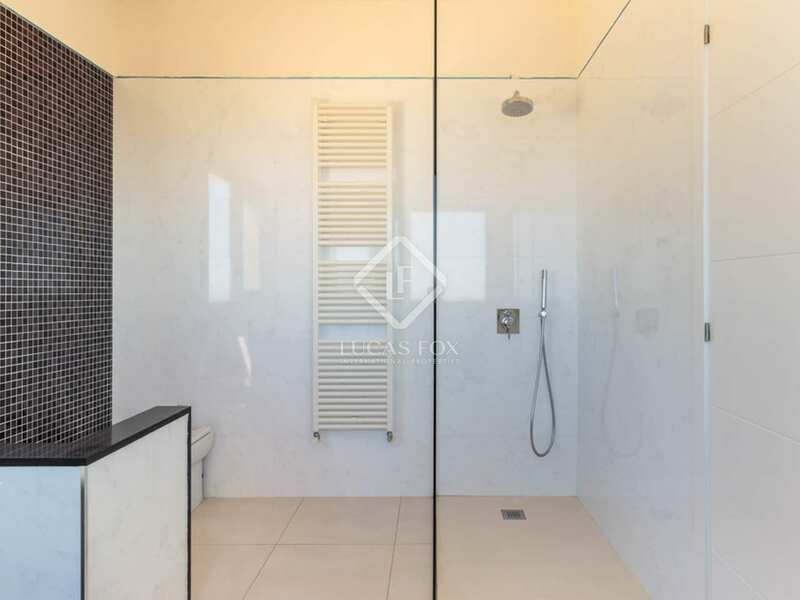 Off the master bedroom we find a walk-in wardrobe and off of this there is an en-suite bathroom with a separate bath and shower. 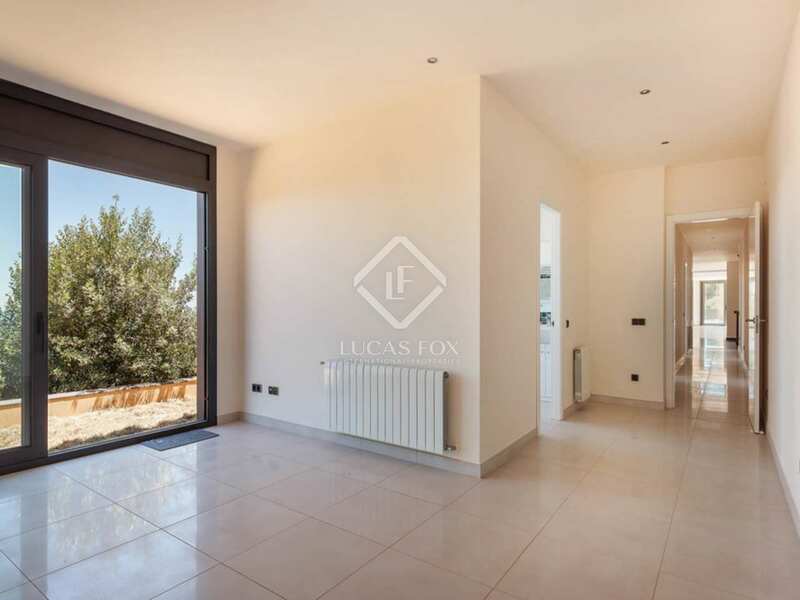 Outside the living room awaits a swimming pool and covered porch area and another room which could be used as a gym or another bedroom and a bathroom. 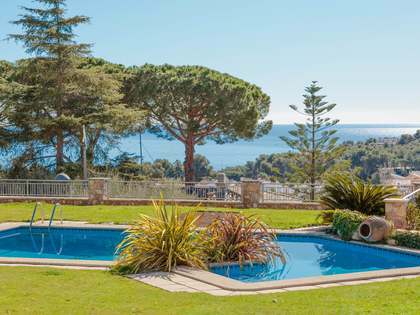 The perfect family residence, holiday home or summer rental investment property. 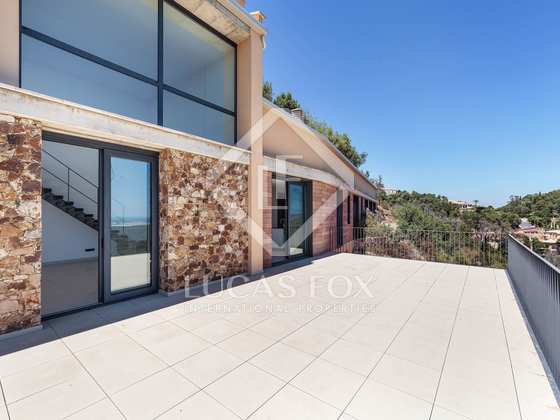 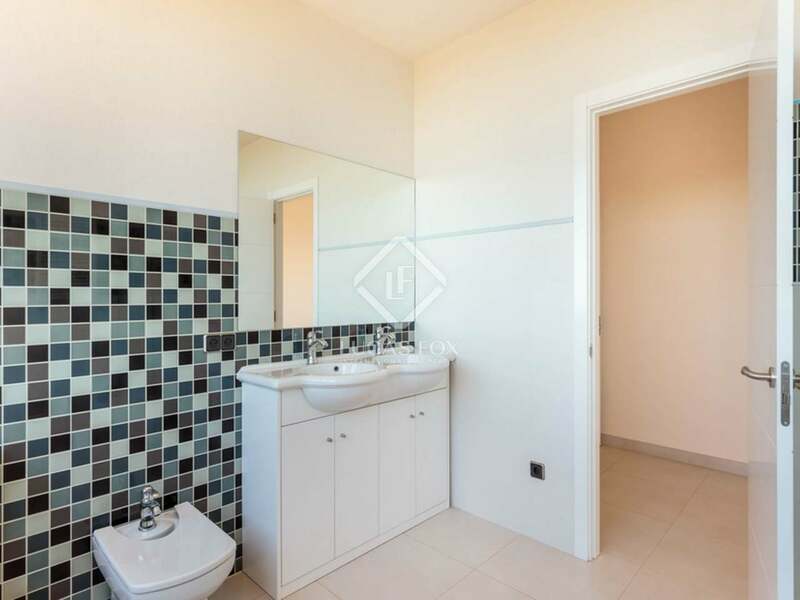 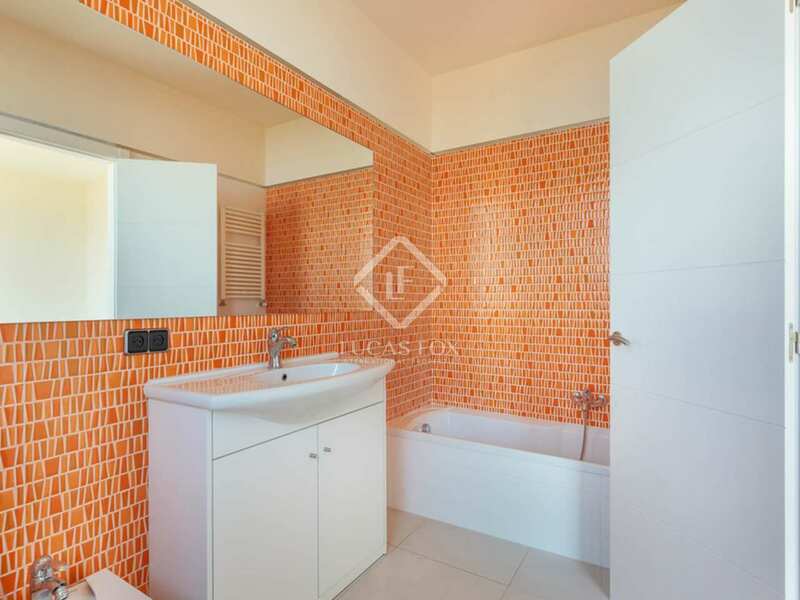 Villa for sale in in the Mas Nou residential area of Platja d'Aro, close to the beach and local amenities.